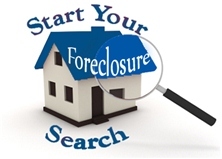 (Go to bottom of page to view macro economic foreclosure information) For more information on specific foreclosure properties, please visit Palos Verdes Foreclosures and South Bay Foreclosures Email or call for more detailed charts OR for charts specific to your city. At the bottom of this page is the detailed picture list of all distressed sales across the entire Southern California counties priced at over 1 million dollars. You would be surprised at some of the properties. Palos Verdes Foreclosures Outcomes—After the filing of a Notice of Trustee Sale, there are only three possible outcomes. 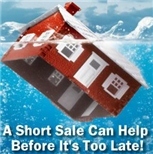 First, the sale can be Cancelled for reasons that include a successful loan modification or short sale, a filing error, or a legal requirement to re-file the notice after extended postponements. Alternatively, if the property is taken to sale, the bank will place the opening bid. If a 3rd party, typically an investor, bids more than the bank’s opening bid, the property will be Sold to 3rd Party; if not, it will go Back to the Bank and become part of that bank’s REO inventory. Palos Verdes Foreclosures Inventories—Preforeclosure inventory is an estimate of the number of properties that have had a Notice of Default filed against the property, but have not yet been Scheduled for Sale. The Scheduled for Sale inventory indicates those properties that have had a Notice of Trustee Sale filed, but have not yet been sold or had the sale cancelled. The Bank Owned (REO) inventory indicates the number of properties that have been sold Back to the Bank at the trustee sale, and which the bank has not yet resold to another party. Palos Verdes Foreclosures Bids—The Published Bid is the amount listed in the Notice of Trustee Sale and is typically the balance due at the original date of sale. The Opening Bid is the bank’s starting bid at auction, and is often discounted from the Published Bid. The Winning Bid is the highest bid received at auction and reflects the amount at which the bank or 3rd party purchased the foreclosure. 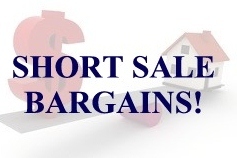 Based on information from California Regional Multiple Listing Service, Inc. as of April 19, 2019 10:51 and/or other sources. All data, including all measurements and calculations of area, is obtained from various sources and has not been, and will not be, verified by broker or MLS. All information should be independently reviewed and verified for accuracy. Properties may or may not be listed by the office/agent presenting the information.